Dr. Alison Cunningham grew up in Prior Lake, MN where she played soccer, ran track, and skied cross country through high school. She then attended the University of North Dakota and played soccer for the North Dakota Fighting Sioux for 3 years before graduating in 2007 with a Bachelors degree in Biology. She moved on right away to graduate school at Northwestern Health Sciences University in Bloomington MN. 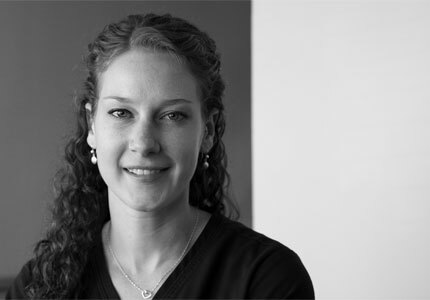 With an extensive athletic background, Dr. Alison knows and enjoys treating athletic injuries. She is also great at working with and adjusting kids, pregnant women, and families. In her free time Dr. Alison runs half marathons, tri- and du-athlons as well as continuing to play soccer in adult leagues. She lives in Highland Park St Paul with her husband Dustin and dog Meeka.